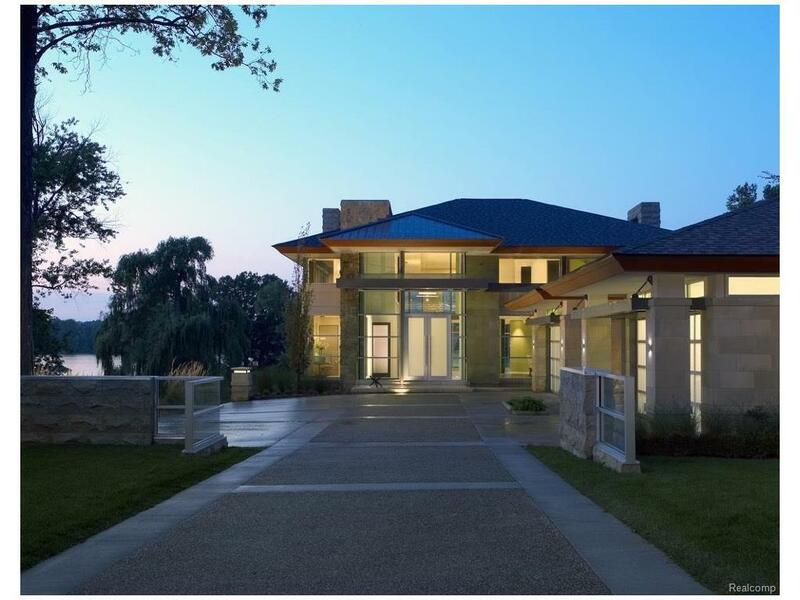 Spectacular One-Of-A Kind Newer Built Cass Lake Front Contemporary Designed by Award Winning AZD Associates. 75 Ft. Frontage w/ Incredible Lake Views. Amazing Design Features Include 3-Story Waterfall, Indoor Pool, Glass Bridge, Glass Staircase, State-Of-The-Art Amenities, Lutron Lighting, Crestron Home Automation & Sound System. 2-Story Limestone Foyer w/ Waterfall, 2-Story Great Rm w/ Custom Ribbon Design over FP, Walls of Windows. Gourmet SieMatic Kitchen w/ Huge Island & Prem Appls opens to Family Rm w/ Built-Ins. Upper Level w/ Glass Bridge, Bamboo Flrs, Luxurious Master Suite w/ FP, Luxury Bath, & His & Her Closets. 2 Additional Upper Bedrms w/ WICs & Custom Baths. Fin W/O w/ Indoor Pool & Spa Tub, Rec Rm, Full Kitchen, Guest Suite, Exercise Rm, Full Bath. 4 Car Heated Garage, Security Camera System, Generator. Pre-Approval Req, 24-Hour Notice Pref. All M & D Approx.